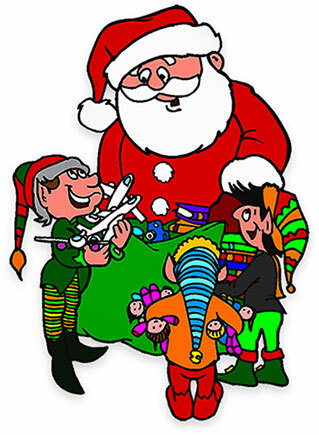 Printable images of Santa with lots of presents plus a few of his elves. 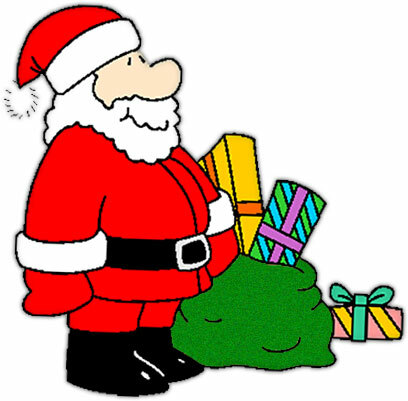 Large Christmas clipart image of Santa Claus with his sack of presents to be delivered to all of the good little boys and girls. Santa has a difficult but great job. Merry Christmas! 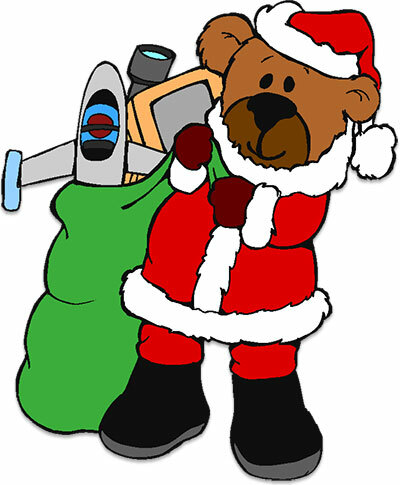 Santa Bear with a big sack of toys for the good little bear boys and girls. Santa Claus and his elves filling his sack with presents for all the good little girls and boys ( I wonder if the bad boys and girls know what they are missing? And just where are all of these bad girls and boys? I've never met one.). If you save and use our Santa Claus clipart please give us credit. Thank You. If you use our clipart for personal print use, no credit is needed.